UPS freight rates through Freight-Specialist is highly discounted with our cheap freight rates. Freight-Specialist works with UPS LTL freight extensively, shipping 100’s of UPS LTL freight shipments weekly. Therefore our partnership with UPS freight allows us to offer excellent UPS freight discounts to you. Consequently, UPS Freight offers coverage in all 50 states and Canada as well, count on UPS Freight to deliver for you. 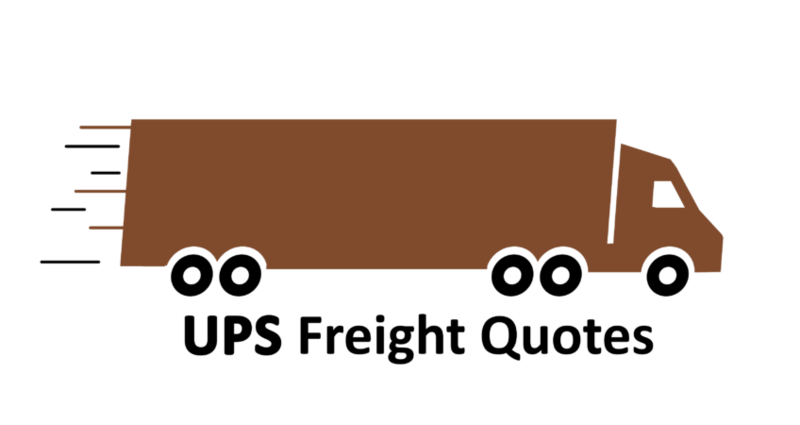 Requesting a UPS LTL freight rate with us is easy; fill out our quote form or call us directly. As soon as your shipment is picked up tracking your UPS LTL freight shipments is easy. Customers can log on the UPS freight website and track their shipments as it moves through different terminals to its destination. Just like other LTL carriers, UPS Freight offers all the options that are available with LTL freight. These options include liftgate service, residential deliveries, guaranteed services, and even hazmat freight. UPS follows the same guidelines as all LTL carriers; meaning their rates are dependent on freight class, weight and also linear footage. If you do not know your freight class you can use our freight class calculator as a guide. It is very important to understand a carrier’s cubic capacity rule when shipping more than 4 standard sized pallets. Please ask our experts for advice on large LTL shipments. UPS offers excellent LTL volume rates or spot quotes for large LTL shipments. If you feel that your LTL shipments can qualify for a volume UPS freight rate please ask us to check for you. UPS volume shipments typically need to meet a minimum requirement of 8 linear feet or exceed 5000 pounds. Volume shipments have limitations that are centered on the maximum carrier’s liability. In closing, UPS Freight continues to expand its LTL presence in North America. UPS currently has more than 200 terminals across the US with an ever-increasing impressive amount of trucks and trailers. Just recently UPS Freight placed a big bet on the future of trucking. UPS freight boldly placed the largest public order of Tesla’s semi trucks. With these bold moves, UPS is surely looking into the future of LTL freight shipping.